This version of the Highlights is similar to the holiday above as it misses out the urban area around Newcastle. This holiday finishes at Carlisle as there is little left of the Wall beyond here - although the Solway estuary beyond does have a peaceful charm of its own. We have 3 options to choose from for the Hadian’s Wall Highlights holiday; the 4 day walk, plus 5 and 6 day walks. This 4 day option is perfectly achievable by walkers with a reasonable level of fitness. However, if you want shorter distances each day, or want longer to look around, one of the longer options would be better. Corbridge is a pleasant market town on the banks of the South Tyne. From Corbridge your transfer takes you to the wall at Port Gate, where you begin your walk along the vallum, through rolling Northumbrian countryside, past turrets and milecastles. The final 2 miles are marked by a descent through pleasant parkland to the North Tyne Valley and the picturesque villages of Wall, Chollerford and Humshaugh. (All of which we use for overnight stops). The nearby Chester’s Fort is also worth a visit. The route soon reaches Northumbria National Park and classic Roman Wall country with expansive views and undulating moorland. 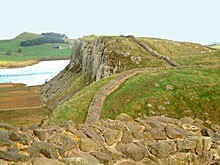 The route climbs steadily at first, past turrets and a Brocolitia Roman fort; it then becomes more steeply undulating on reaching the Whin Sill escarpment. The views of open moorland, the South Tyne Valley, the Pennines and of the wall itself following ridges ahead are breathtaking. The route passes the well preserved Housesteads Fort and continues in a similar dramatic fashion to Twice Brewed and on to your accommodation. Twice Brewed is a good place to schedule in a rest day so you have time to explore the Vindolanda or Housesteads Roman forts. The route continues to follow the escarpment, over rugged crags of Windshield, all equally as impressive as the previous section. It then passes the remains of Great Chester’s fort and the Roman army museum and continues on to the pretty villages of Greenhead and Gilsland. Just after Gilsland the fort of Birdoswald is reached, the route then continues high above the steep sided Irthington Gorge, before beginning a gradual descent at the village of Banks. Rich agricultural landscape and parkland replaces the moorland as the route drops steadily through the villages of Walton and Irthington before reaching the River Eden for the final section into the historic border city of Carlisle. Carlisle’s history is very much evident with its cathedral, castle and old city walls. Terrain: Moorland up to 350m for the central section, but otherwise fields and parkland. If you require car parking whilst walking this route, we can usually arrange for you to leave your car in Corbridge and then you return to your car by public transport or taxi – please contact us for detailed information. By Air: Newcastle International Airport has its own Metro station (you will need some change for the ticket machine). The journey time from the airport to Newcastle Central Station is around 20 minutes. From Central Station take the train to Corbridge (half hour travel time). By Public Transport: There is a train station in Corbridge, visit www.qjump.co.uk for train times. By Road: Turn off the A69 at the main Corbridge roundabout, onto the B6529 towards the town centre; follow the directions to your accommodation on the individual map supplied in your holiday pack. Carlisle is on the west coast mainline for train connections north, south and east. Spectacular walking along the best preserved section of the wall as it marches along the Whin Sill escarpment. An easy to follow trail with good signposting. Interesting historic sites at Chesters, Housesteads, Vindolanda and Birdoswald – the best preserved forts on the wall. 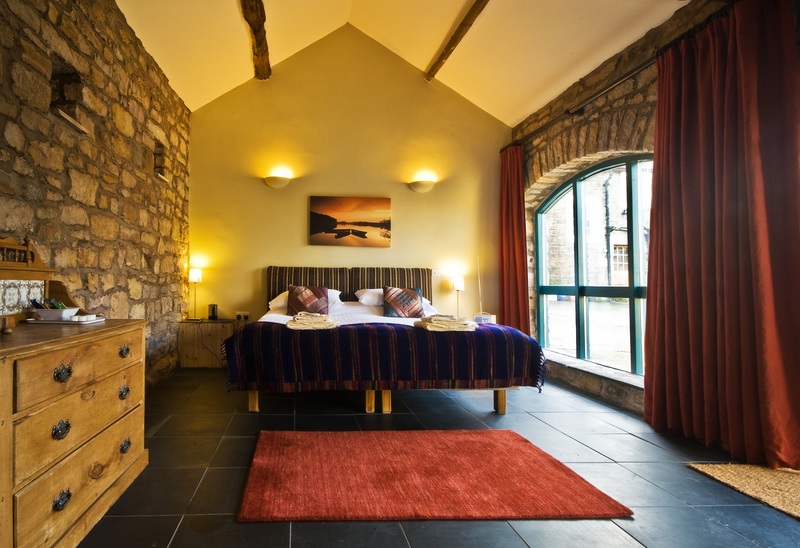 Lovely accommodation in farmhouses and B&B's in local villages.